Originally built in 1731, The Bower House was lovingly restored in the spring of 2017 by owner Andrew Knight. The elegant Grade II-listed Georgian townhouse is ideally situated in the middle of the quaint market town of Shipston-on-Stour in Warwickshire. 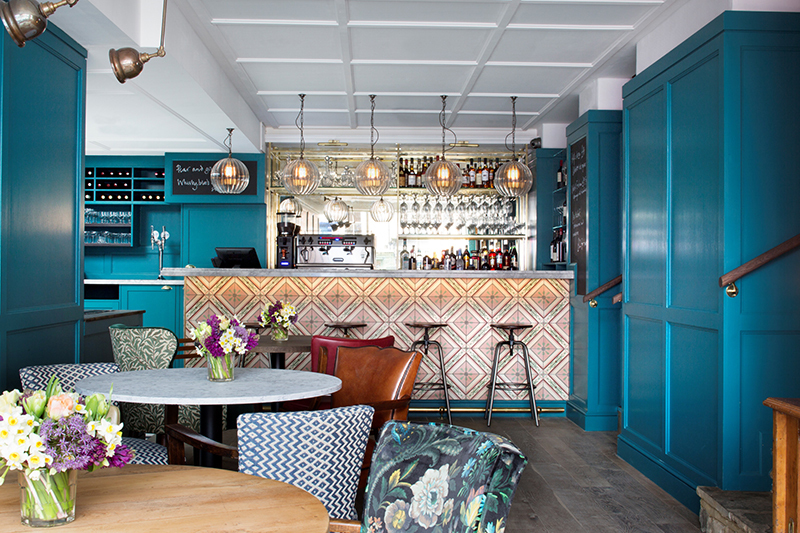 Step off the street and into the bar and you’ll be instantly welcomed into a friendly, cheerful environment with vibrant blue walls and mis-matching furniture. You’ve arrived somewhere quite unique! The Bower House has five individually decorated en-suite rooms for guests to stay in. Each room has a distinctive look and has been designed to give it its own personality. The art and interiors stand out with bright colours and patterns. A mix of antique, vintage and modern furniture give the rooms a quirky, yet stylish feel. You can tell a lot of thought has gone into each arrangement and there are some lovely personal touches. Each room is stocked with Nespresso machines, Roberts digital radios, retro phones and a beautifully stocked bar with crystal glasses, beautiful china tea cups and delicious homemade cookies. Super king size beds, luxurious bathrooms and a view of the town make this a cosy yet spacious retreat. The restaurant is open for breakfast, lunch and dinner. 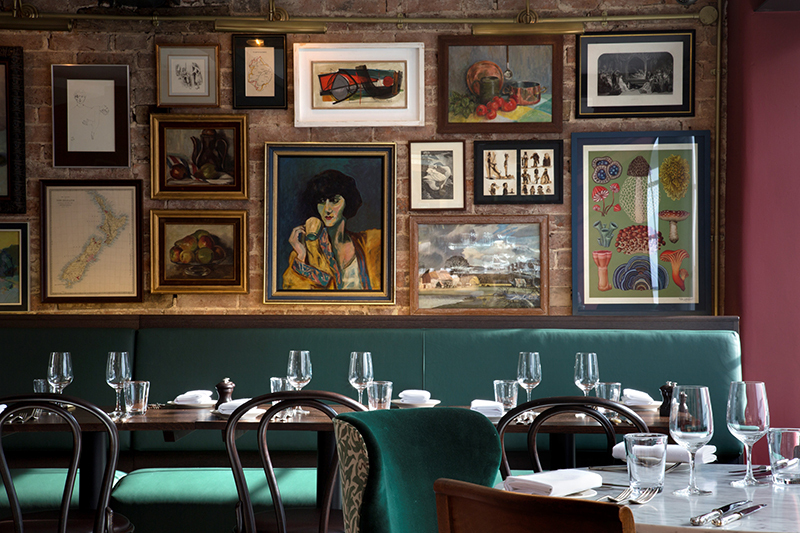 Enjoy a pre-dinner drink in front of the fire or dine in style surrounded by the restaurant’s maroon walls, unusual oil paintings and copper-topped tables. This is a proper restaurant with a modern menu using delicious local produce. Head chef Sukh Aujla, who has previously worked at Nobu and The Savoy, has created a simple, yet sophisticated menu. The duck croquettes and hazelnut-coated goats cheese starters were both delicate feasts for the eyes that left us wanting more. The blue cheese hollandaise complemented the Ribeye steak and chunky chips perfectly and the baby monkfish tails with saffron curry sauce and Bombay potato cake made for a delicious twist to a classic seafood dish. For dessert, the rhubarb and orange crumble with homemade ice-cream was foodie heaven and the chocolate fondant with honeycomb was smooth and indulgent. The wine list is just as eclectic as the hotel, with a good variety of wines, both in terms of grape and region, but I decided on a cocktail. The Signature Bower Sour is made with Cotswold Distillery gin and refreshing grapefruit juice and is a tastebud sensation! 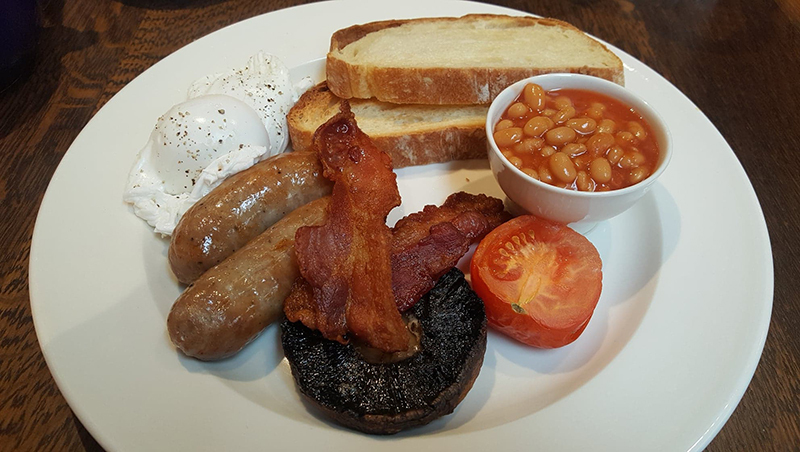 In the morning, the full English breakfast and scrambled egg with smoked salmon and homemade bread were equally divine, although there’s plenty of options including porridge or toast with jams. The hotel also has maps with walks and suggestions for day trips to read while you eat, and the staff are happy to help. It’s no surprise that famous Shipston shoppers include Roger Moore, Kate Winslet and Ben Kingsley. This charming little town is full of character and has a wonderful mix of traditional shops from a baker and butcher to a tailor, flower store and even a a sweet little antique clock shop called Time in Hand. 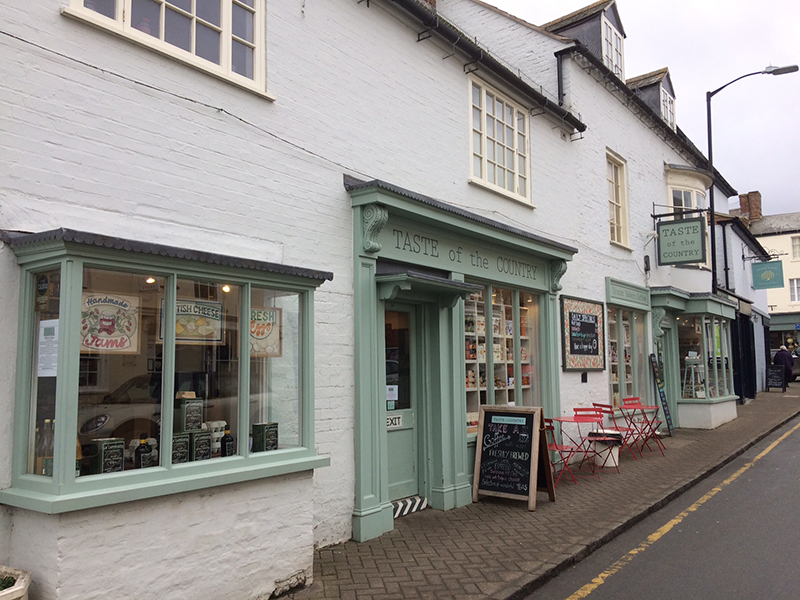 Take a walk around the town and stop for tea and cake at the mouthwatering Taste of the Country deli or the delightful Mrs Brown’s Tea Rooms. 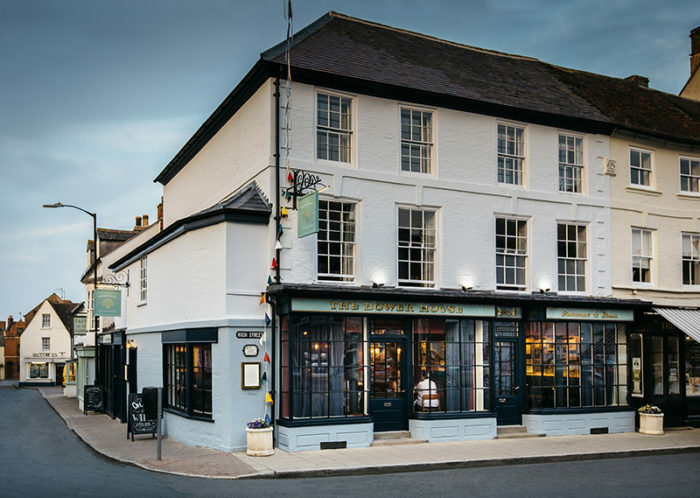 Set on the bank of the River Stour, Shipston is perfect for pretty riverside walks, but it’s also ideally situated for visiting the neighbouring Cotswolds and Stratford-Upon-Avon just 10 miles away. 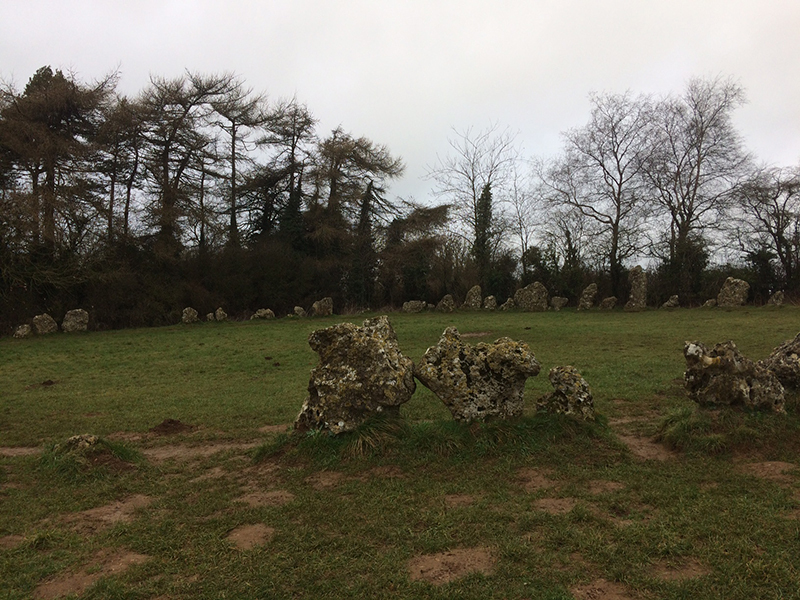 We took a ramble down to the Rollright Stones, a group of Neolithic and Bronze Age stones, but there’s lots to see nearby too including Hidcote Manor Garden six miles away and the Cotswold Distillery, a 10-minute drive from the town. Modern quirky luxury in a quintessential English town, Bower House is the perfect blend of style and substance. 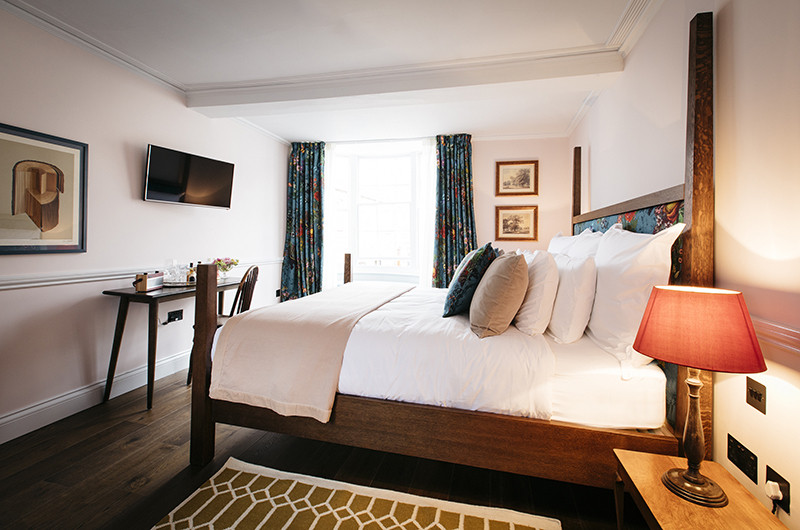 Enjoy this great offer in place until the end of March – £160 for two for Dinner, Bed & Breakfast, including a bottle of house wine.